Alexander Bobilev, Principal, iJet Inc, has been appointed ILIAC Acting President. The meetings addressed public policy regarding copyright and its implications for library users and libraries. Dr. Maurice Freedman, ILIAC Director, receives ALA Award. Despite certain political events in the region, the Organizing Committee of the "Crimea 2014" Conference continues preparations for it to be held within the planned dates. The Organizing Committee is in contact with local co-organizers and leading libraries of Ukraine and the Crimea. However, taking into consideration a bit unpredictable political and economical situation, the Organizing Committee is discussing the possibility of transferring the venue of the Conference to the Russian Federation. Decision will be made my March 31. It was with much sadness that we heard about the death of our dear friend Norman Briggs that happened earlier in March. For many years, Norman was the Managing Director of ILIAC UK.Norman's enthusiasm in promoting UK-Russia library projects was unmatched. He was our valued partner and senior friend in many successful events like Crimea and Libcom conferences, Reading and Yaroslavl seminars, Online Information exhibition. Norman was a great humanist and optimist, always ready to share his knowledge of British culture, history and landscapes with Russian friends. His work in support of Russian - British partnership in library affairs continues to be tremendously valuable. Yakov L. Shrayberg, General Director of RNPLS&T, Doctor of Engineering Science, has his 60th anniversary. Yakov Shrayberg is widely known in Russian library community and in many foreign countries because of his productive professional activity and indomitable energy aimed at creation, development and implementation of many new initiatives in the sphere of library and information technologies. His name is associated with realization of different professional projects and appearance of already world-wide famous Conferences LIBCOM and Crimea. He is one of the organizers of International Association of users and developers of digital libraries and new information technologies. He initiated creation of Library and Information International Organization of a new type in USA – International Library Information and Analytical Center (ILIAC), created and headed Department of Digital libraries, information technologies and systems of Moscow State University of Culture and Arts where his pedagogical talent was released. Yakov Shrayberg is one of the leading specialists of his sphere, famous scientist and organizer. He attained fame and respect among his colleagues and students. His scientific works and management skills are of the highest level. Yakov L. Shrayberg, General Director of RNPLS&T, Doctor of Engineering Science, has his 60th anniversary.Yakov Shrayberg is widely known in Russian library community and in many foreign countries because of his productive professional activity and indomitable energy aimed at creation, development and implementation of many new initiatives in the sphere of library and information technologies. His name is associated with realization of different professional projects and appearance of already world-wide famous Conferences LIBCOM and Crimea. ILIAC representatives took part in the 78th IFLA General Conference and Assembly in Helsinki, Finland on August 11-17, 2012. Talks with IFLA President Ingrid Parent and other IFLA officials were related to IFLA Forum at the Crimea 2013 conference that is jointly organized by IFLA, ILIAC and the Russian National Public Library for Science and Technology and is becoming a major way of involving library community from Russia, CIS and Eastern Europe into worldwide activities. With Crimea 2012 conference held successfully earlier this month, plans are already being made for the Crimea 2013 that will be the anniversary 20th conference. ILIAC invites colleagues and friends from the United States to come join us for that event in Sudak, Crimea, Ukraine in June 2013. Attention participants of the international workshop and study tour Digital Resources and International Information Exchange: East-West. Certificates to the alumni of the 2011 program will be awarded during the Crimea conference in June 2012. See the conference program for details. Mr. Golubev was the Director of Belarusian Agricultural Library for 32 years. It was his energy and expertise that turned a small departmental library into one of the industry best in Belarus. Mr. Golubev’s involvement with ILIAC lead to the development of international ties with Belarusian libraries, implementation of new library technologies, and international exchange. ILIAC team sends deepest condolences to the family and friends of the deceased. ILIAC thanks all the participants to the 13th International Workshop “Digital Resources and International Information Exchange: East-West.” All those who have successfully completed the study program will be granted a certificate issued jointly by the American Councils for International Education and the International Library Information and Analytical Center (ILIAC). The certificate award ceremony will take place during the Crimea 2012 Conference, a major international event sponsored by ILIAC. ILIAC continues to receive positive feedback from the participants of its 13th International Workshop and study tour. See you again next year! November 14-18, 2011 the 15th International Conference and Exhibition “LIBCOM-2011” took place in Park-Hotel “Olimpiets” (Khimki, the Moscow region). Subject of the year – “IT, computer systems and publications for libraries”. Further information is on the first page of RNPLS&T web-site. November, 1, 2011, there was Solemn ceremony of closing 9th International children ecological forum “Green planet 2011” where the winners were awarded. Bychkova E.F., Deputy of department of ecological information, and Kryukova A.V., Bibliographer of department of ecological information, took part in the event on behalf of the RNPLS&T. Near 350 thousands of students of 78 subjects of the Russian Federation and 15 countries of the world took part in the competitive program of the Forum. 13th ILIAC International Workshop “Digital Resources and International Information Exchange: East-West” and study tour for Russian librarians took place on October 9-22, 2011 at numerous locations across the United States. The workshop session venues included Columbia and Seton Hall Universities, American Councils for International Education, The Library of Congress, New Orleans Public Library and Lyndon B. Johnson Presidential Library and Museum. ILIAC would like to thank all the hosting institutions for their warm welcome, generous sharing of knowledge and the highest quality of presentations and discussion. – it is continuation of the unique project “American bibliobus-2010” (New-York – Washington – Chattanooga – Birmingham – New Orleans – Baton Rouge – Houston – Austin – New York). The visit was organized by the International Library Informational and Analytical Center and the RNPLS&T. The project gave the participants an unprecedented opportunity to cross America from North-East to South-West, from Atlantic coast to the Gulf edge; and to get acquainted with work of the biggest American libraries, universities and famous IT companies. Y.L. 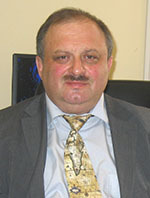 Shrayberg, General director, E.V. Lindeman, Deputy director, M.V. Goncharov, Director of development and support of internet technologies, and K.Y. Volkova, Chief specialist, Director’s assistant in international cooperation, took part in the events on behalf of the RNPLS&T. Online press conference on the results of “Crimea 2011” forum was held in RNPLS&T. It attracted the representatives of the library world, professional media and online Internet users. Yakov Shrayberg, ILIAC President; Head, Organizing Committee of the International Conference “Crimea 2011”; Director General, RNPLS&T, answered the questions from the audience. You can watch the video of the press conference at http://www.gpntb.ru/videoonline/ (in Russian). “Information Society” Eighth Social and Economic Forum took place in Tver (Russia). The forum’s mission is to support information society development in Russia by publicly discussing the current state and development plans of the information society, forming the eGovernment, and analyzing the fulfillment of the national implementation plan of the Information Society Development Strategy in the Russian Federation. Yakov Shrayberg, ILIAC President; Director General, RNPLS&T, made a speech “Electronic Resources of Libraries for Science and Education” at the forum. Mikhail Goncharov, Director, Internet Technologies Development and Maintenance Center, RNPLS&T, also participated in the forum. “New in Foreign Libraries” webinar took place in RNPLS&T, featuring Yakov Shrayberg, ILIAC President; Director General, RNPLS&T, as a speaker. The main paper was entitled “New in Librarianship of Foreign Countries: Following the Results of International Educational Tours to the UK, Spain, and Switzerland, arranged by RNPLS&T”. 100 people from 5 countries took part in the webinar. Following the results of the “New in Foreign Libraries” webinar, its organizer – the International Academy of Business and New Technologies – expresses warm gratitude to the webinar speaker Yakov Shrayberg, ILIAC President; Director General, RNPLS&T. In developing its partnership with Seton Hall University (South Orange, NY) ILIAC donated a new portion of Russian books to the university library. Finest examples of Russian literature by Tolstoy and Leskov and the books on Russian history add to the already impressive collection previously donated by ILIAC. The books are used by the university faculty and students and help promote Russian culture in the United States. Annual ILIAC International Workshop “Digital Resources and International Exchange: East – West” will take place in October 2011. Dear ILIAC customers and partners, kindly note the change of address. ILIAC headquarters has moved to 1828 L Street, N.W., Suite 1200, Washington DC 20036. Our phone and fax numbers remain the same: phone: (202) 463 7566, fax: (202) 463 7582. Information Resources Faculty of Moscow State University of Culture and Arts, Library Information Institute, RNPLS&T, Central Scientific Agricultural Library of Russian Academy of Agricultural Sciences, Library Science Department of International Automation Academy organized traditional V.V. Skvortsov Lectures – XV International Scientific Conference. This year the theme was “Library Science –XXI: Integration into World Education Environment”. Yakov Shrayberg, Director General, RNPLS&T; PhD in technical sciences, Head, Department of E-libraries, Information Technologies and Systems, Moscow State University of Culture and Arts; Vice President, Russian Library Association, made a speech “Library in Modern Electronic Environment” at the Conference. A meeting of the Program Committee of “Crimea-2010” International Conference was held in RNPLS&T. Armen Adamyants, Ekaterina Genieva (Deputy Head, Program Committee), Mikhail Goncharov, Galina Evstigneeva, Galina Elfimova, Lyubov Kazachenkova, Ada Kolganova, Evgeny Kuzmin (Head, Program Committee), Boris Marshak, Yuliya Melentyeva, Irina Mironova, Nadezhda Pavlova (Executive Secretary), Gennady Popov, Eduard Sukiasyan, Vladimir Firsov, Yakov Shrayberg (Chair, Organizing Committee of “Crimea” International Conference, Deputy Head, Program Committee), Darya Aminova (Secretary, Program Committee). Elena Zakharova (Russian State Library for the Blind), Svetlana Zolotinskaya (Coordinator, Organizing Committee of “Crimea” International Conference). The meeting was conducted by Evgeny Kuzmin, Head of the Program Committee of “Crimea” International Conference. All new activity applications were examined and adopted with a range of additions and amendments. A list of new proposals and activity applications will be put of the site of RNPLS&T in ‘International Events “Crimea-2010”’ section. “Information Support to Innovative Development of Kazakhstan” International Conference (devoted to the 50th anniversary of the National Library of Russia) took place in Almaty, Kazakhstan. Representatives of RNPLS&T who took part in the Conference: Yakov Shrayberg (Director General), Boris Marshak (Deputy Director General for Science and Strategic Development), Elena Lindeman (Deputy Director General for Library and Information Services), Darya Aminova (PR Manager). Dr. Yakov Shrayberg, ILIAC President, delivered a keynote paper at the Third Annual International Conference at Columbia University Web 2.0, Social Networking, & Libraries (March 16, 2010). Over 20 books on Stalingrad and the battle of Stalingrad, as well as “Stalingradskaya Pravda” newspaper, published during the Great Patriotic War, will be digitized. At present, all these editions and the newspaper file are in the stocks of Maxim Gorky Regional Universal Library in Volgograd. Part of the material has already been digitized and is ready to be sent to Boris Yeltsin Presidential Library, where it will be trimmed to meet all the technical requirements. The work of making electronic copies of the unique editions is done within the framework of preparations for the 65th anniversary of the Victory in the Great Patriotic War. It is supposed that electronic copies of rare editions will be exhibited in the International Press Centre in Moscow in the days of the Victory celebrations. B. Pasternak’s collected works were published by “Azbouka-Classika” publishing group to commemorate his 120th anniversary. In their commentaries the publishers underlined that music, painting and philosophy helped to form Pasternak’s personality and outlook. Pasternak had been into music and painting since childhood. Music and philosophy opened certain prospects for him, but he preferred poetry. From metaphorical verses of 1910-1920s he went on to free self-realization in his books “Second Birth”, “Early Trains”, and “When the Weather Clears”. The main verses and poems by Pasternak are included into the first volume of the collected works, and the second volume includes “Doctor Zhivago”. About 100 publishers from 40 countries will take part in the 19th International Book Fair in Havana, Cuba. Russia will be the guest of honour. The book fair will take place from February 11 to February 21 on the territory of an ancient San Carlos de la Cabaña castle in Havana. Russia will be represented by 63 publishers that will present 3.5 thousand editions of different genres and on various topics. Besides, a large Russian delegation headed by Sergey Lavrov, Minister of Foreign Affairs, will arrive in Havana. According to Mikhail Camynin, Ambassador of the Russian Federation in Cuba, one of the goals of Russian participation in the book fair is to regain the positions of the Russian language in the Carribean country. He reminded the journalists of the fact that Soviet editions were very popular in Cuba in Soviet times. Earlier he had noticed that our country’s participation in the book fair will enable Cuban public to learn more about Russian culture and will serve to strengthen intercommunication betrween the two countries. Russian exposition will be held in three pavillions, total surface of which exceeds 430 sq. metres. A large group of Russian writers, scientists, politicians, and musicians will come to the book fair. There will be literary contests, and documentaries about Russia will be shown. After the exposition in Havana Russian book fairs will be held in different Cuban cities. The largest book in the world will be shown to the public for the first time in 350 years. Atlas, the height of which is 6 feet, was presented in 1660 to Charles II by Johannes Klencke, Dutch merchant, in honour of the restoration of monarchy. The so-called Klencke Atlas, including 39 maps, is one of the main exhibits at the “Magnificent Maps: Power, Propaganda and Art” exposition in the British Library. B.N. Yeltsin Presidential Library (St. Petersburg, Russia) will connect higher education institutions of all Rusia. St. Petersburg Rectors’ Council discussed this ambitious project at its off-site meeting, which for the first time took place in this library. Managers of the Presidential Library proposed a new program: to unite lecturers and students from all regions of the country in on-line communication, using the unique facilities of the library. The proposal was discussed and adopted at once. The name of the program is “Territories of the Russian Federation”. It implies distance education (including education for disabled people), all-Russian on-line academic competitions for students and college applicants, advanced training for lecturers, teleconferences – in short, a large scale of activities that will unite lecturers and students of the whole country. For instance, young people of one region will be able to get to know the way of life of their peers living thousands of kilometers away from them. “For sudents to know and love not only their region,” Vladimir Vasiliev, chairman, St. Petersburg Rectors’ Council, noted. “For them to get the idea of a region in which they might work one day”. The way the program will work in practice was shown perfectly on January 27, when an on-line conference between St. Petersburg and Tyumen was held. “Training flight”, as it was called by its organizers in St. Petersburg, went smoothly, and colleagues from the two regions communicated, looking into their displays. Plans for the nearest future were stated at the same time: digital reading rooms would appear in all higher education institutions, so that students and lecturers could get access to information resources of the Presidential Library. And as Russian higher education institutions have their own book and document collections, some containing unique editions, they will share them with the Presidential Library. Colleagues from St. Petersburg will help digitalize the documents. On Decemb er 16, 2009 Outstanding scientists in the fields of education and information were decorated with federal awards in the hall of the Board of Ministry of Education and Science of the Russian Federation. Among them, Yakov Shrayberg, Ph. D. in technical sciences, Director General, RNPLS&T, was awarded Order of Honour and Mikhail Goncharov, Director, Internet Technologies Development and Maintenance Center, RNPLS&T, was awarded Medal of the Order of Merit for the Fatherland of the II Degree. Vladimir Fridlyanov, Deputy Minister of Education and Science, handed the awards.